This part shipped quickly and I'm very happy with the quality. Easy to install on my flip flop hub. It has no click sound when wheel is spinning, which I like. 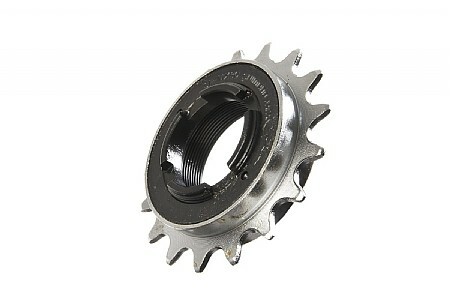 I needed to replace a worn-out, crunchy freewheel on my commuter. This one was reasonably priced and worked great out-of-the-box. There's almost no clicking sound when coasting, which is a little weird/pleasant. I commute everyday on it and it's still as smooth and quiet as when I installed it months ago. There are fancier, sealed-cartridge freewheels for those looking to buy the best on the market but for a no-frills bike commuter like myself that doesn't have a lot of cash to spend but still wants something decent and reliable, this is just perfect. Absolutely, positively, altogether decent product at an altogether decent price. Reasonable price. Works reasonably well. No irritating noises so far. Works with a regular 4 prong freewheel tool. I like it.